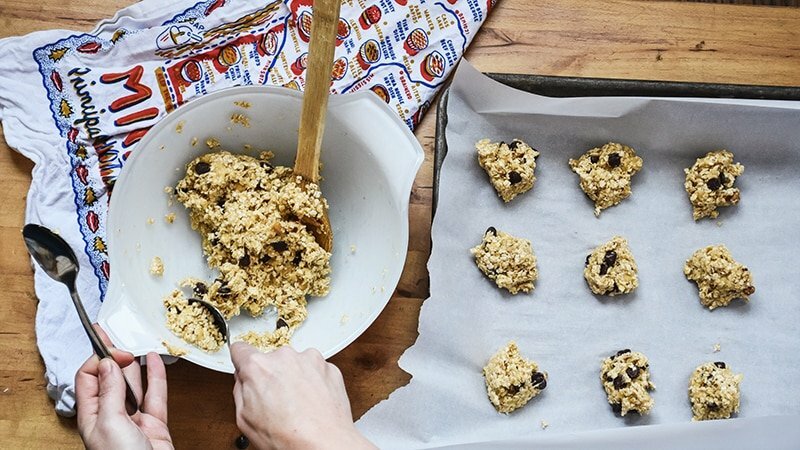 An easy cookie using only 2-ingredients. 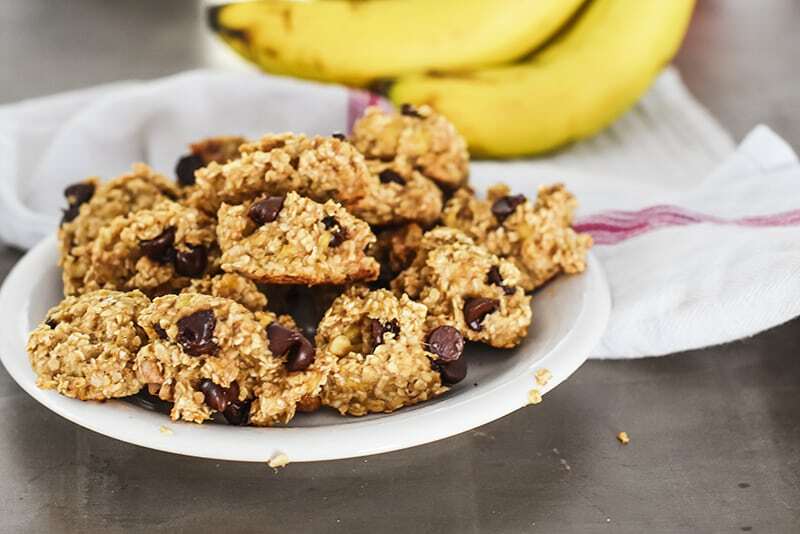 Add chocolate chips and walnuts for even MORE yumminess! Let me first clarify that these ARE 2 ingredient cookies. Until I add the walnut and chocolate chips, and then they are 4 ingredient cookies. Not joking with you here, it really is that simple! 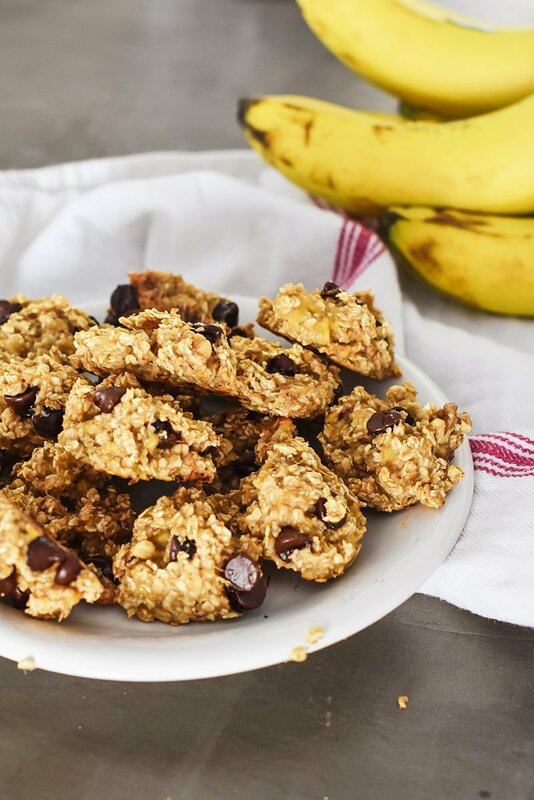 These banana cookies are warm and cozy, sweet and savory and the PERFECT easy cookie for after school. 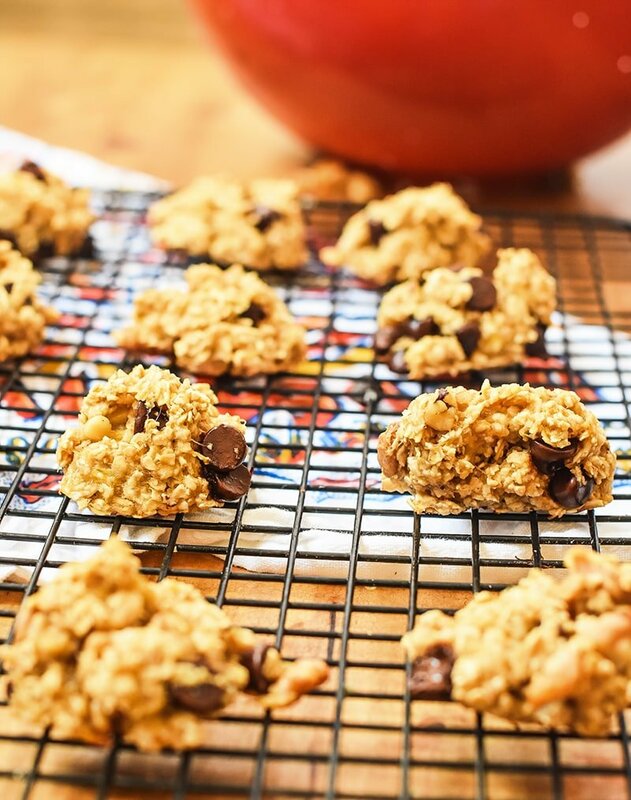 If you haven’t added these cookies to your recipe file, please let this be the day. You can make up several dozen of these in absolutely zero time. In fact, we had these cookies made, the photo’s done, AND the video shot in less time than it takes to watch an episode of This is Us. Which, by the way, I have YET to watch a single episode. And from what I hear, I better keep it that way if I don’t want to have to watch them all in one sitting. 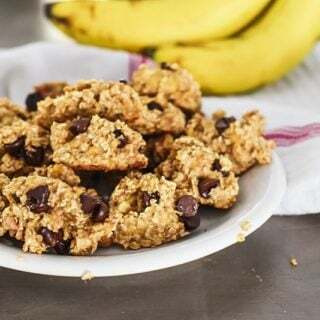 These cookies are for busy mom’s looking for a quick, homemade treat for their family that is healthy, sweet, and easy. 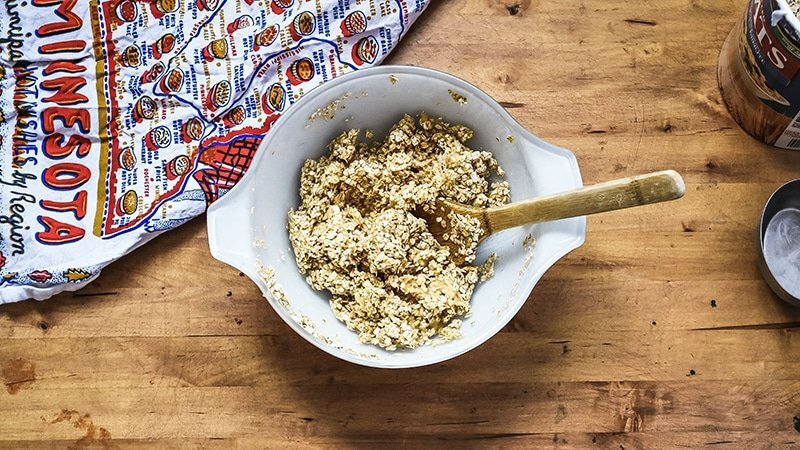 Mix the mashed bananas and quick oats together well. Stir in the chocolate chips and walnuts, if desired. Drop on to greased baking sheet (or lined with parchment paper). Bake in 350 degree oven for 12 to 14 minutes. Ginger cookies (with no molasses) | These are my Levi’s FAVORITE cookies. Warm, spicy, and full of flavor…the best! 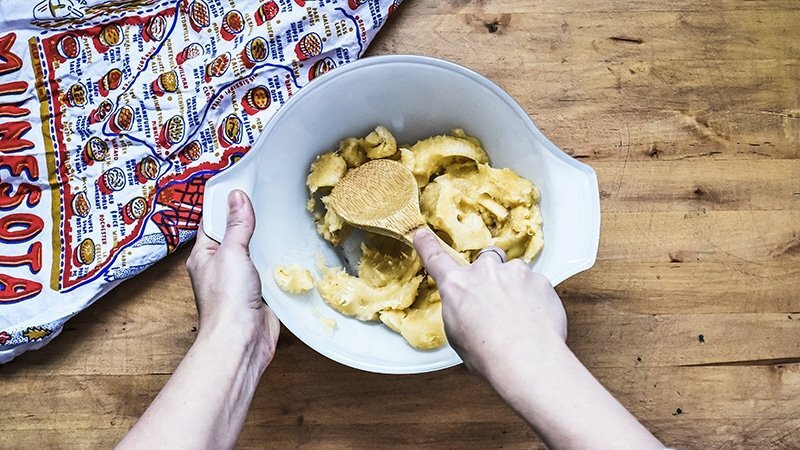 3-ingredient Peanut Butter Cookies | You’ll never make peanut butter cookies another way. 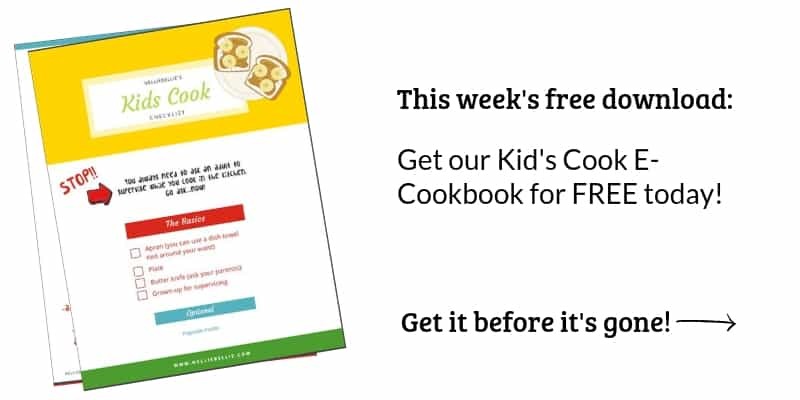 This was the first recipe my kids ever learned! 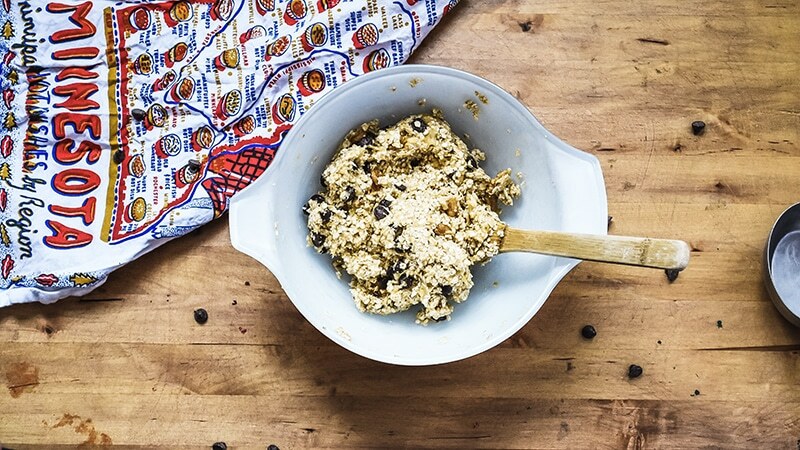 Tahini Chocolate Chip Shortbread Cookies | And these. My personal favorites. Sweet and cozy and full of gentle flavor. You’ll love them!